There's no denying that Apple has one of the best, if not the best, software support of its smartphones. 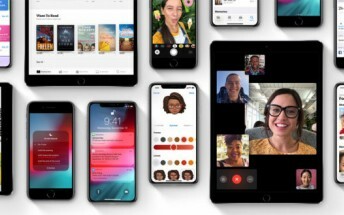 By supporting older devices, the adoption rate of the newest version of its OS ramps up pretty fast and this year's release of the iOS 12 is no exception. According to Mixpanel's statistics, iOS 12 already powers 47.54% of Apple's phones as opposed to 45.60% of iPhones and iPads running iOS 11. Quick reminder, even the iPhone 5s is eligible for iOS 12 update and users report excellent performance. 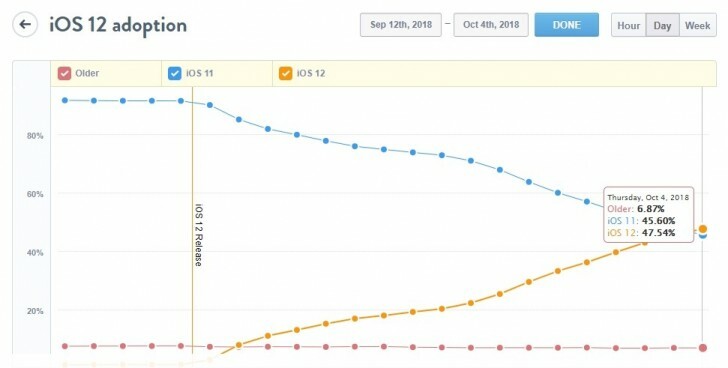 Apple released iOS 12 on September 18 and its adoption is mind-blowing, especially when you consider that Google's Android 9.0 Pie has been out for quite some time now but still doesn't show in the statistics.